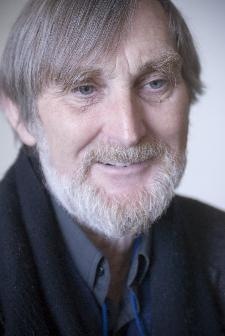 James Norcliffe has published eight collections of poetry, a short story collection and several award-winning novels for young people. ‘It is clear,’ reviewer Trevor Agnew (Christchurch Press) wrote of his prose, ‘that a master storyteller is at work from the first sentence’. James had a long time involvement with takahē magazine and has edited anthologies of poetry, and writing by young people, notably (with Tessa Duder) the long running ReDraft annual anthologies. Most recently he has edited (with Harry Ricketts and Siobhan Harvey) the major anthology Essential New Zealand Poems – Facing the Empty Page (Godwit/Random, 2014), and with Joanna Preston Leaving the Red Zone – Poems from the Canterbury Earthquakes (Clerestory Press, 2016). He has won a number of awards for both his poetry and prose. With Bernadette Hall, he was presented with a Press Literary Liaisons Honour Award for lasting contribution to literature in the South Island, New Zealand. James has been awarded writing fellowships both in New Zealand and overseas including the Burns Fellowship, the IWP/Iowa Residency, and residencies in Hobart, Massey University and Otago University College of Education. He publishes poetry widely internationally, and regularly reads at festivals and occasions throughout New Zealand and overseas: most recently the Queensland Poetry Festival (2008), in Medellin, Colombia, for the International Poetry Festival (2010), and in Quebec at the Trois Rivieres International Poetry Festival (2011). His work is published in journals world-wide and has been translated into several languages. A new poetry collection Dark Days in the Oxygen Café was published by Victoria University Press, August 2016.